Categories for ribbons awarded include: Cookies, cakes, pies, cheesecakes, pound cakes, layer cakes, breads, biscuits, fudge, candy, and brownies. 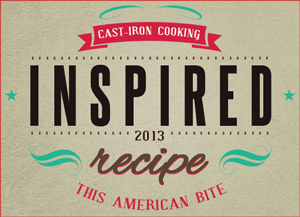 I’ve been nominated for a 2013 Inspired Recipe award. i’m pretty sure, all awards are well deserved, your work is fantastic. thanks for sharing.